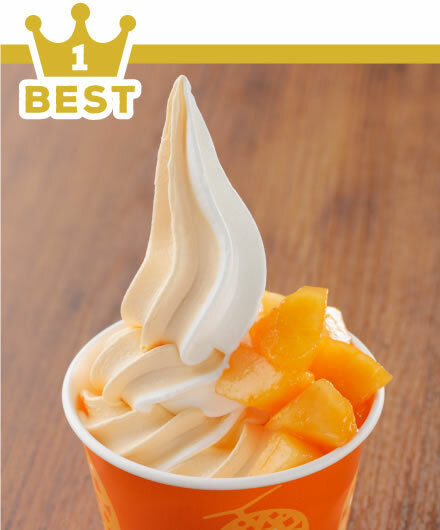 Let’s taste the original desserts made from melon, or fresh sliced melon, melon ice cream. 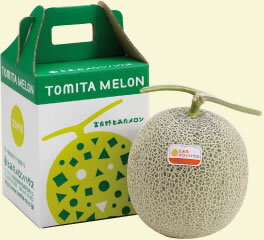 We also sell melons and vegetables in season from Furano, can take away or send. 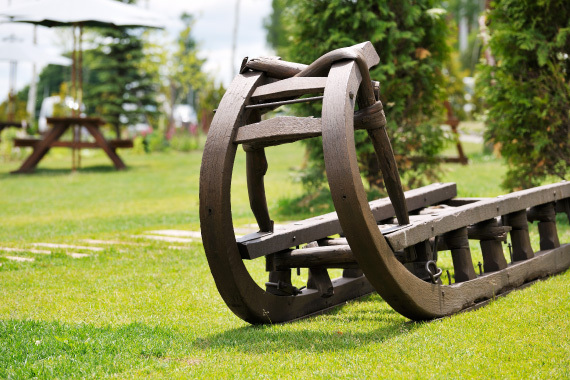 ※Be changed according to the weather or melon harvest. 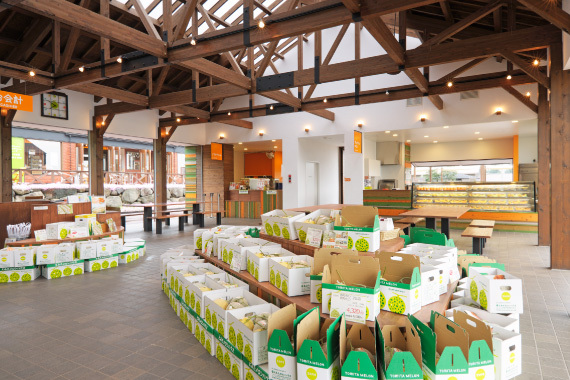 Direct sales store that sold high quality Furano melon chosen by professional. 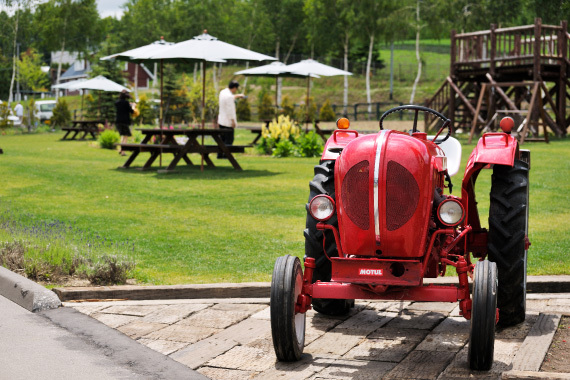 We also sell vegetables in season from Furano directed from the farms. You can choose the melon you like by yourself, if for gift or for yourself. 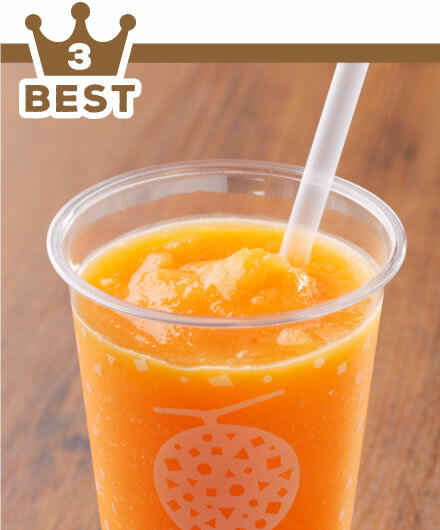 Taste our high quality Furano melon on-site！ The sweet-smelling and good-tasting expand in your mouth. 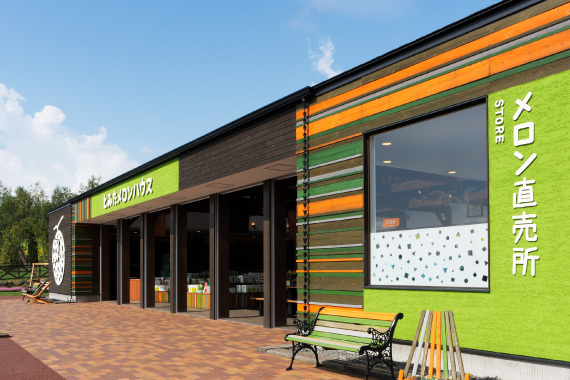 Please enjoy the melon at melon specialty shop. 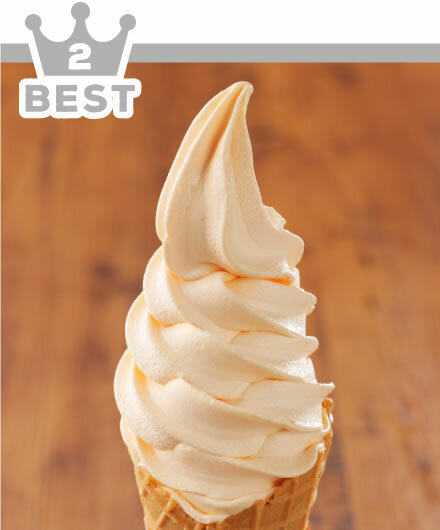 Ice cream and drink made from Furano melon and Furano milk are array！ We also have the menu used fresh melon pulp. You can taste at melon specialty shop only. Melon ice cream with fresh sweet melon pulp on the top. The original melon ice cream used ripe Furano melon juice. 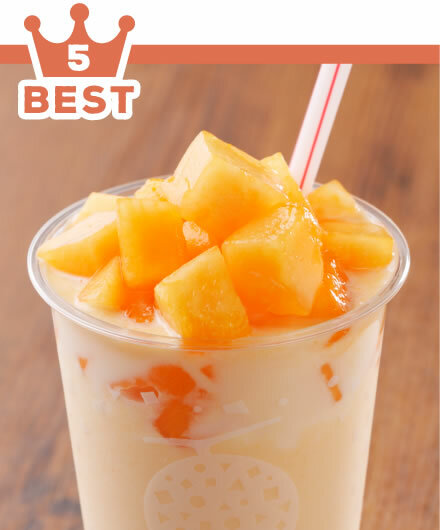 The fresh fruit smoothie mixed with fresh Furano melon pulp and ice. 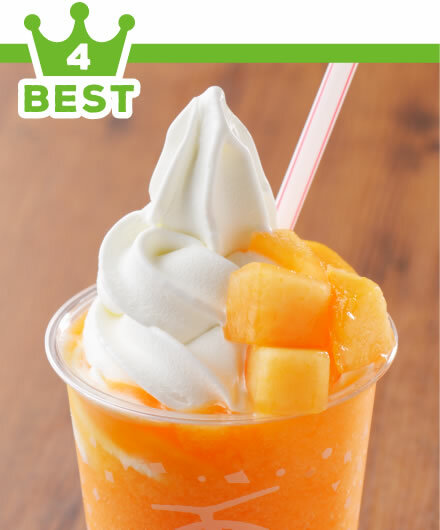 Enjoy the fresh melon pulp, ice cream, and smoothie at once. Fresh melon mixed with milk, and melon pulp on the top. Our dessert shop is always full of sweet-smelling around the building. You can buy the desserts used many carefully selected melons only here. 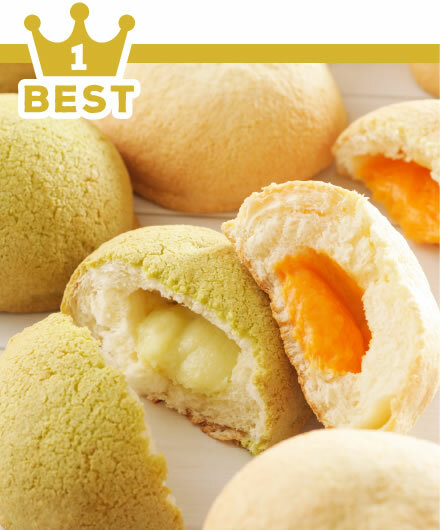 The best seller is freshly baked melon bread. We provide two kinds of bread, red melon and green melon bread which made from ripe melon puree. You can enjoy the sweet-smelling and good-tasting! Used Furano melon puree, the skin tastes crispy, inside of the bread is soft and filled with melon cream. 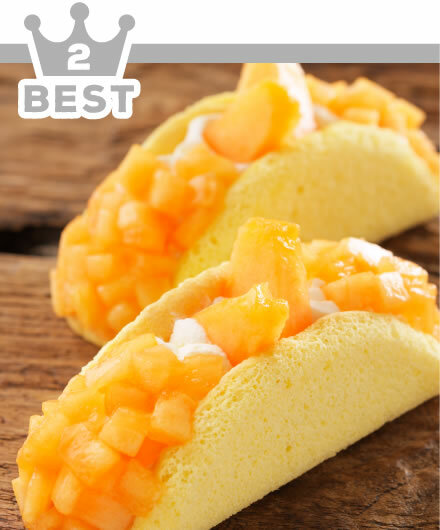 The sponge cake is filled with melon whip and melon pulp. 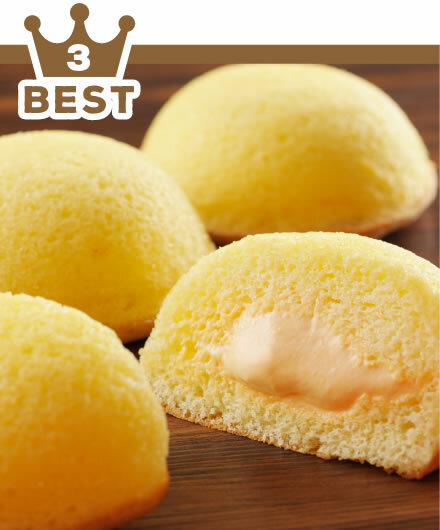 Soft cake is filled with melon cream. 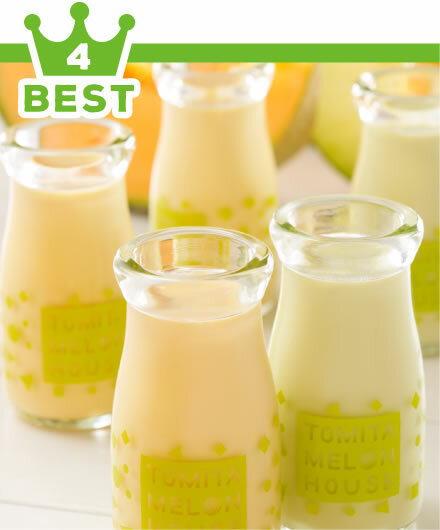 Used melon juice, you can enjoy the melon smelling and the tasting. 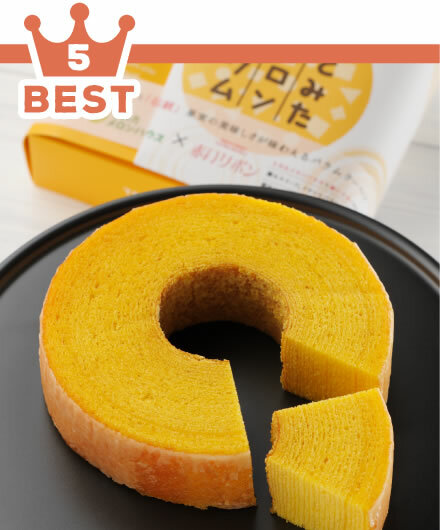 Used melon juice, the pastry chefs bake baumkuchen carefully to make it delicious. 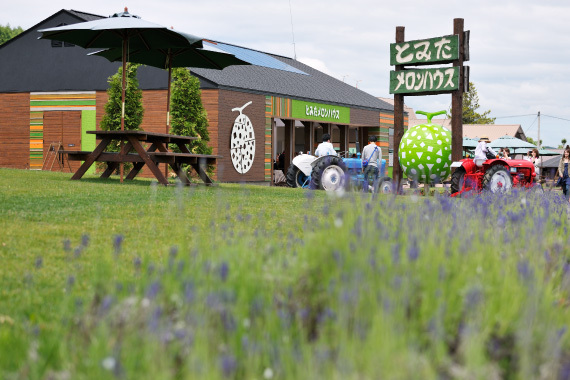 Let’s search TOMITA MELON HOUSE. ※Click the icons to link the each website of transportations. Walk from the Nakafurano station：about 20 minutes. Walk from the Lavender-batake station：about 10 minutes. From Asahikawa airport：about 50 minutes. Asahikawa airport to Nakafurano station：about 50 minutes. Furano station to Nakafurano station：about 12 minutes. Copyright © Tomita Melonhouse Co.,Ltd All Rights Reserved.